When your child reaches the age of 6, finding the perfect gift for her will get even more challenging. At this stage, she will have already adjusted into her school life and an environment outside the home. This means that she has a better understanding of how things work, what her identity is, and what she likes and doesn’t like. Because she has her own sense of self and identity, she will also have really clear preferences when it comes to gifts and toys. Some girls will love books and educational toys while others will prefer those that involve fashion and accessories. Regardless of what it is, toys will help further her development and add to what she learns in school. This Arts and Crafts for Girls premium bracelet making kit by Mazichands has more than enough to keep your 6-year-old busy. She will get 600 rubber bands, 24 c-clips, 1 hook, and 1 loom to design and make as many bracelets as she wants to. 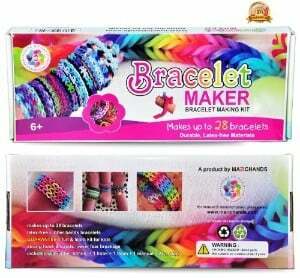 This set is ideal for girls who love to keep their creative hands busy with various arts and crafts, but at the same time love wearing bracelets and other accessories. What's Great About It: This is perfect for little girls to share with their friends. Whether they use it to make friendship bracelets or as a bracelet-making station during a birthday party, it’s durable enough that you don’t have to worry about breakages. 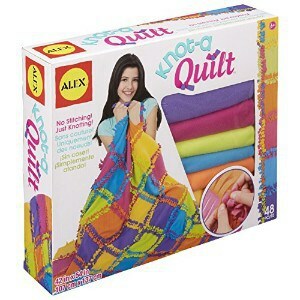 If you want to introduce the art of quilting to your 6-year-old, or give her a project that she can own and be proud of, this Craft Knot A Quilt Kit by ALEX Toys is a good option. In just a few hours, your little girl can make a 54 x 42 inch quilt, all without a single stitch. The idea is to knot pre-cut fringed squares together in order to form a colorful quilt that your daughter will cherish for years to come. What's Great About It: This kit is ideal for girls who love crafts, and because it’s so easy with no stitching involved, it’s perfectly suited for any 6-year-old. Brain Flakes by VIAHART takes building and construction toys to a place you’ve never seen it before. 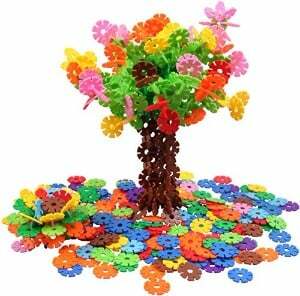 Unlike your usual blocks, this one comes with 500 pieces of uniquely shaped plastic disk pieces that measure 3.3 centimeters in diameter. These pieces can be interlocked to create really unique structural works of art. This toy will definitely boost the creativity of your 6-year-old, and will also give her enough room for self-expression. What's Great About It: This is a toy that has been tested for children’s safety and compliance with US CPSIA regulations. The flakes are free of BPA, heavy metals, lead, and phthalates, so you can be sure that it’s safe for your little one to use. This scrapbook kit by ALEX Toys is the perfect way to get your 6-year-old started on the art of capturing and documenting memories. Little girls and scrapbooks go together really well, and this age is the perfect time to introduce her to the magic of memory keeping. Not only will it continue to encourage her artistic side, but it will also teach her the importance of friendships, as well as of making memories that last forever. What We Like about Its Product: This scrapbook set contains everything your little girl needs, from the 10×10 inch hardcover scrapbook with 48 pages to the 30 precut shapes, 100 sticky gems, 300 stickers, 1 stencil, and all the other tools and accessories that she will need. Awaken the creativity in your little designer with this Fashion Plates Deluxe Kit from Kahootz. It has all the materials that she will need to mix and match fashion designs and come up with her own. 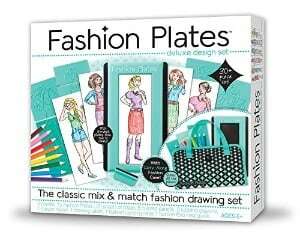 This set includes 15 interchangeable fashion plates, drawing paper, colored pencils, and much more. What's Great About It: Aside from the idea booklet that contains many ideas that your 6-year-old can pick from, this kit comes in a beautiful carrying case, making it easy for your daughter to keep the kit together. 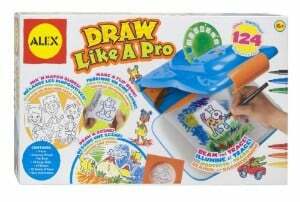 If your little girl is showing signs of being interested in drawing or art, you should definitely encourage her with this Draw Like a Pro Artist Studio set by ALEX Toys. It’s an incredibly easy and fun way to increase her fine motor skills, because it makes your 6-year-old work with a projected image that she needs to trace. What's Great About It: The toy’s design considers the fact that kids come with different preferences, and there are 124 drawing slides to choose from. She also gets the option of making 3 different types of artwork, and 2 drawing surface positions. 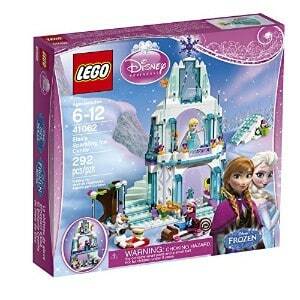 With the popularity of Disney’s Frozen, your little one will love the idea of getting a LEGO set that recreates Princess Elsa’s Sparkling Ice Castle. Like all building toys, this one encourages her to tap into her problem solving skills and creativity. You can guide her as she solves the building puzzle herself, or you can make it a group activity with her friends. What's Great About It: With LEGO and Disney teaming up to come up with this toy, you get a set that really stays true to the details in Frozen. You even get mini figurines of Elsa, Anna, and Olaf that your daughter will love. 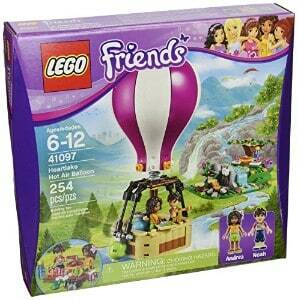 If your 6-year-old loves puzzles, she will enjoy working with the 254 building pieces to put together this Heartlake Hot Air Balloon set by LEGO. It’s a unique building set because it recreates a hot air balloon scene, so your little girl can use her imagination. This set has great details, and includes 2 mini figurines, a waterfall, a tree, a picnic spot, and of course, a hot air balloon. What's Great About It: This set is made for children aged 6-12 years old, so it’s a good way to challenge your little girl’s intellectual development, and she can build it over and over as she grows. With 183 pieces of LEGO building blocks to work with, any 6-year-old girl will have fun creating this Jungle Falls Rescue Building LEGO Set. It taps into your child’s adventurous side because of the toy’s theme and setting, but at its heart it’s still a construction toy. It’s a good start if you want to step up your little one’s cognitive processes and abilities. What's Great About It: This is another unique toy from LEGO, and it comes complete with an Olivia mini figurine, figures of jungle animals like a tiger cub and a chameleon, as well as accessories that become a big jungle rescue adventure. With this Sparkling Hair Accessory Set from Creativity for Kids, your daughter will never lack of fashionable hair accessories. This set has everything that your little fashionista needs, and having her work with these accessories teaches her beneficial skills such as planning, creativity, and hand-eye coordination. What's Great About It: This gives your child a sense of pride and ownership in making choices about what she’d like to wear. With 6 headbands and 4 hair clips to design, she has a lot to work with to express her personality. If there is one thing you can be sure your little princess will love, it is bracelets and bangles. The Orb Factory’s Stick N’ Style Blinglets is the perfect set to get for your 6-year-old, especially if she shows a keen interest in fashion and jewelry. She will get 700 colorful jewel stickers that she can stick to 12 different Blinglets in the design of her choice. 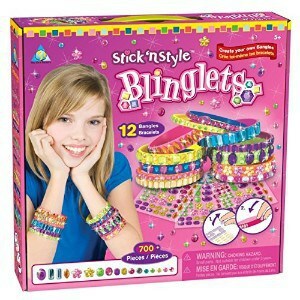 What's Great About It: This set helps build a great sense of self-accomplishment, because your little girl will feel the ownership of having designed these bracelets and bangles. Your little girl will love having her own clutch to bring around with her, but imagine if she had the freedom to design it herself. The Orb Factory’s Stick ‘N Style Crystal Clutch is exactly that, with more than 550 jewel pieces to work with. This encourages your little one to be creative and to express her own sense of style through the clutch that she will be designing. What's Great About It: The best thing about this gift is that it is not only a great arts and crafts toy, it’s an actual clutch that can be used to store her favorite accessories. Little girls are all about accessorizing, and that’s why this cute set of Fashion Headbands by Creativity for Kids is perfect for your 6-year-old. She’ll have loads of fun dressing up the colorful headbands that come in the set – with the help of the gemstones, feathers, flowers, ribbons, bows, and other sparkly accents. The design possibilities are almost endless. What's Great About It: The number of headbands that your child can work with means that she can really experiment with different designs. This enriches her creativity and helps her express her own sense of identity and style. 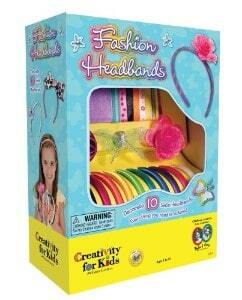 True to its name, So Many Headbands by ALEX Toys gives your little girl a good number of headbands to work with. Inside the kit, she will have 10 do-it-yourself headbands, which are highly customizable with the accessories that come in the kit. The headbands are satin and stretchy, and they come with a dream headband kit that includes tulle, shoelace, gems, ribbons, loops, and much more. What's Great About It: This is the perfect canvass for your little girl to show off her creativity and style. The materials that come with the headbands are in a variety of colors and designs, so your little girl will get a lot of flexibility in her creations. Your 6-year-old will love having her own box of treasures, and this Keepsake Box from Mattel will give her just that. This is the age when little girls start having meaningful friendships and start keeping all sorts of mementos, so it’s the perfect time to give her a box for her most prized possessions. 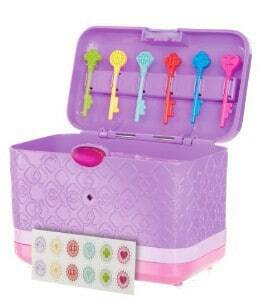 This box also comes with memory keys and matching stickers to tag the keepsakes. What's Great About It: There’s a secret compartment for extra special memories, which is something little girls will love. There’s also an electronic password system that keeps the box extra secure. 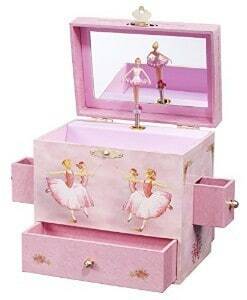 This is a time when your 6-year-old will have all sorts of trinkets and accessories, so it would be good if you give her this Ballerina Treasure Music Box by Enchantmints. Designed beautifully and with all the right-sized compartments to keep precious possessions safe, this clever music box will help your child learn the value of organizing and caring for her things. What's Great About It: This is not just a trinket box but a music box as well, so when she opens it, she’s treated to a beautiful rendition of Swan Lake. There’s also a twirling ballerina on top, making this even more perfect if your little girl loves ballet. Self-expression goes hand-in-hand with creativity, and this is very important, especially for 6-year-old girls who are just discovering their preferences and fashion choices. 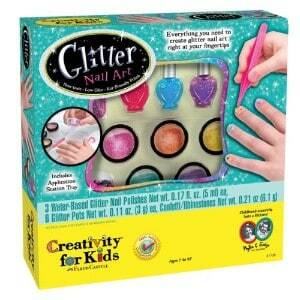 With this Glitter Nail Art by Creativity for Kids, they get to have fun with applying all sorts of art to their nails. It’s a completely ready-to-use nail art set that has everything your little fashionista might possibly need, so all she has to do is let her imagination take flight. What's Great About It: Nail polish and children don’t usually go together, but this one’s non-toxic and low odor – which means you don’t have to worry about the safety of your child. It’s completely safe to use and designed for your 6-year-old to fully enjoy. 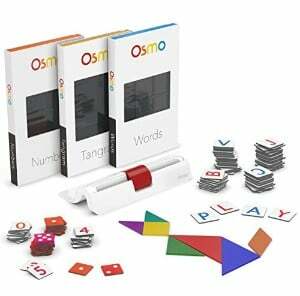 Osmo’s Genius Kit perfectly bridges the world of technological gadgets and physical play, which makes it a very relevant toy to give at this age. It’s a great hands-on toy that helps boost a number of your child’s skills through 5 unique games: numbers, visual thinking, words, drawing, and creative problem solving. What's Great About It: You can consider this a gadget and a technological toy, but the best thing about is that it doesn’t neglect physical play. The technological aspect ensures that your child won’t get bored, but the inclusion of physical play keeps everything well-balanced, and encourages the entire family to be a part of it. With A Kick Scooter from Razor, your 6-year-old can explore the neighborhood and improve her motor skills while she’s at it. Using a scooter is definitely fun and exciting, and on the physical side of her development, it helps improve muscle strength as well as balance and coordination. 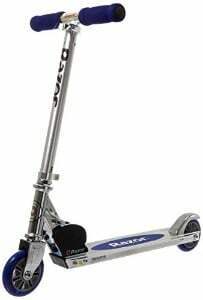 What's Great About It: This scooter is made with durable materials, and can carry up to 143 pounds. It has a system that ensures quick but safe stops, and a system for spring-less shock absorption. Give your little diva a chance to showcase her voice with the Singing Machine Karaoke Player. This toy comes complete with its own microphone, built-in speakers, volume control, and voice control, so it can encourage your little one to sing, building up her confidence and self-esteem. It also has a 2-digit LED display, and is a portable vertical load CD player, so your 6-year-old can pop in her CD's and sing away with her favorite artists. What's Great About It: This set has special disco light effects, so your little one can truly feel like she’s a diva, making role playing more fun. 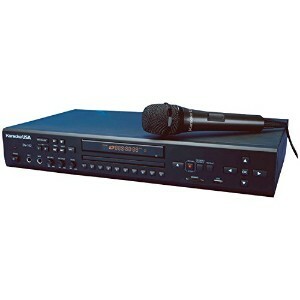 The voice quality is also quite impressive, so it’s a great way to encourage your child to take center stage. To come up with the list of 20 toys that are best for 6-year-old girls, the first thing we looked at is developmental appropriateness. At this stage, you need toys that can aid in her development. We didn’t go for the toys that are directly educational, because a little variety is good, and what they learn during play can go hand-in-hand with their lessons in school. Girls this age are very interested in arts and crafts, and this is what the first 9 toys are about. The next 8 toys are related to their interest in fashion and accessories, and then we also chose other toys that build up their intelligence, motor skills, and love for music and singing. Aside from their developmental features, we also based our choices on criteria like the reputation of the manufacturer, customer satisfaction, quality and reliability, as well as the safety of the materials used. 6-year-old girls are in that stage where they’re crossing the bridge from their preschool years to primary school, and because of this, they often like the feeling of being a “big kid”. They value close friendships and teamwork more, especially because they spend a lot of time in a school setting. The constant flow of new lessons from school also means a rapid development in their mental skills. They have a better understanding of how cause and effect works, and the magical world that’s typical of preschoolers usually starts to fade at this stage. Still, they love to play in ways that involve their imagination and fantasy, but they usually like playing with friends of the same gender. At this age, they also have a greater sense of identity, drawing from interests that are similar to that of their friends. They like playing dress-up, making their own accessories, and establishing their own fashion choices. The interest for arts and crafts also tends to grow more at this stage, and you’ll find that there are now more details in their creative works. 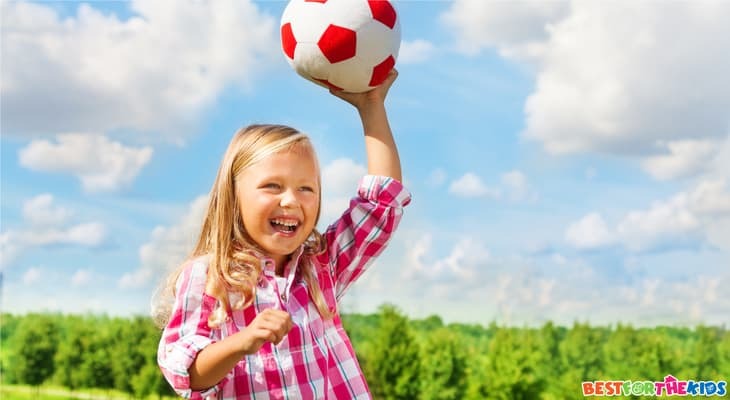 In terms of physical development, at the age of 6, children now have greater control over their movement in the world around them, better coordination, and developed motor skills. They will start to lose their baby teeth and have a better sense of what they’re capable of physically. Little girls of this age are also able to transition into new environments and activities more easily, so they are less shy when introduced to something, someone or somewhere new. They are now able to pay more attention, and are not as easily distracted as younger children are. They also enjoy the variety of noises, sights, smells, and touch that they get from the world that surrounds them. Because their motor skills are much steadier, they also like exploring more. Being 6 years old is an exciting time for any child, and toys can be a great part of this period in their childhood. While finding the perfect toy for your 6-year-old girl may not be the easiest thing in the world, this well-researched list will make the process so much faster and simpler.